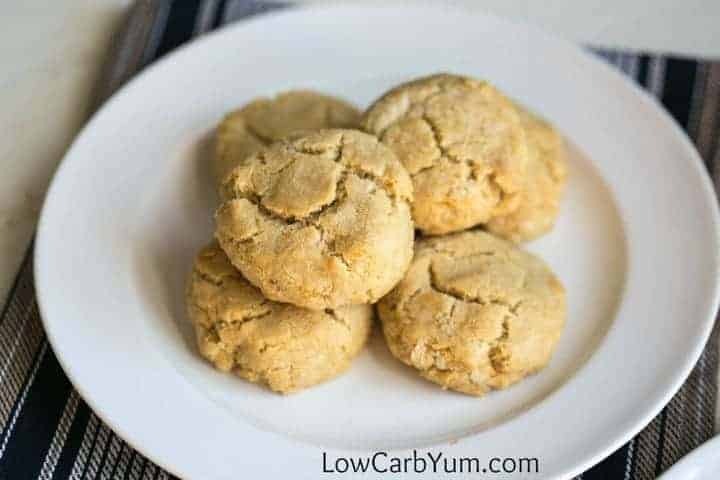 A low carb almond flour biscuits recipe that’s perfect for keto meals or snacks. These savory paleo biscuits are super easy to make any time. 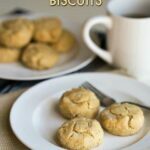 After posting my coconut flour biscuits recipe on social media, a few people have asked about low carb biscuits with almond flour. 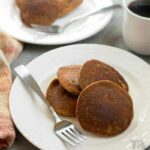 The coconut flour based one has always been my go to recipe. 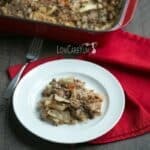 It’s a great recipe that adds in sharp cheddar cheese. I have made gluten free drop biscuits with a mix of almond flour and coconut flour. That recipe also adds in zucchini and cheese. However, I’ve never made biscuits using only almond flour. So I experimented and created my own almond flour biscuits. It’s a simple recipe that requires only 5 ingredients along with salt. I left out the cheese to keep it paleo friendly, but some cheddar can be added if desired. 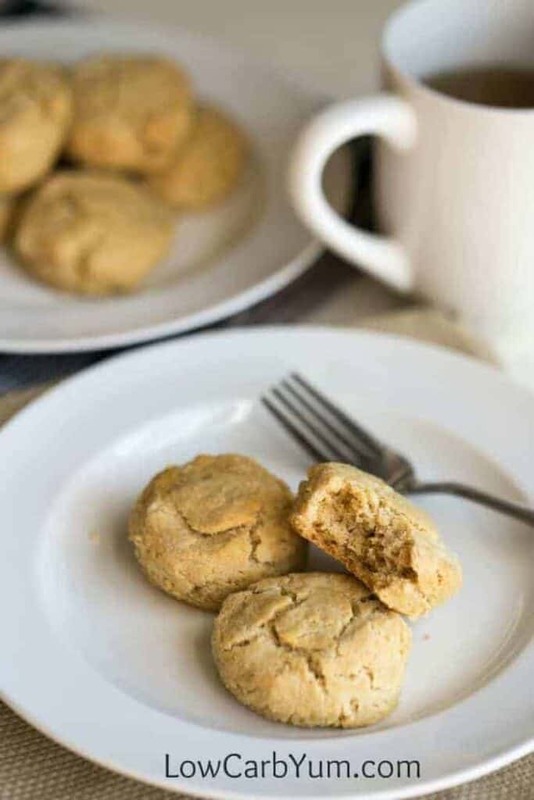 The process for making these paleo biscuits with almond flour is so easy! And everything mixes up in one bowl. 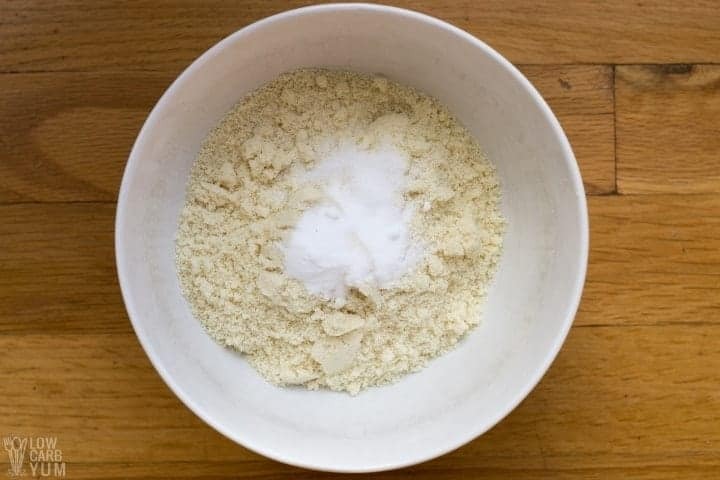 To start, just dump almond flour, baking soda, and salt in a medium bowl. Then stir until well blended. A couple tablespoons of melted ghee is mixed in next. Melted coconut oil or butter can also be used. If using coconut oil, I recommend trying the butter flavored kind. The mixture should become crumbly once the melted fat is mixed in. 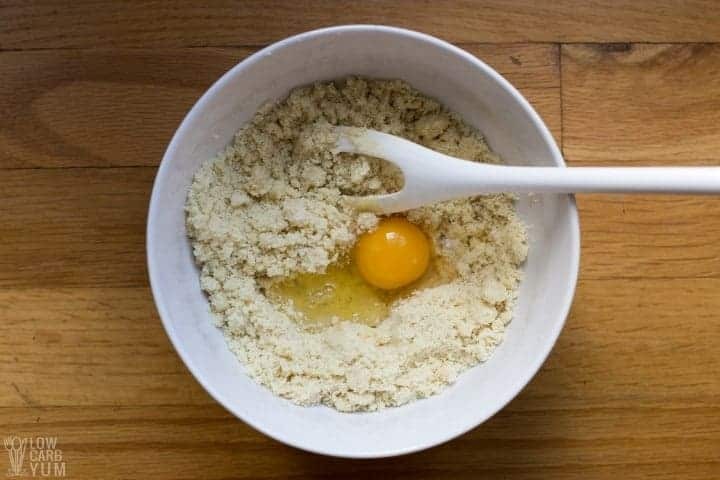 One large egg is then stirred in to form the biscuit dough. I also add in a few drops of liquid stevia to offset any bitter flavor from the baking soda and nut flour. However, adding in sweetener is completely optional. To enhance the flavor, some shredded cheese and or herbs could be added into the dough. Onion powder or garlic powder can also be added. I like to use a large cookie scoop to form the biscuits into rounded mounds. But you can just use a large spoon and form the dough into balls with your hands. The dough scoops are placed on a parchment paper lined baking sheet and flattened out before baking. It only takes about 15 minutes for the almond biscuits to cook at 350°F. Overall, the taste of these little bites was very good. However, I prefer a lighter sponge-like texture. That’s why I don’t use all almond flour in most of my baked goods. The one thing I noticed was that these almond flour based mini rolls were much heavier than ones made with coconut flour. To get a lighter texture, I’d reduce the amount of nut flour and add coconut flour. I find the best texture is achieved by using a flour blend or all coconut flour. There are some people who choose not to use coconut flour. For those, I’d recommend blending almond flour with a little whey or egg protein powder. 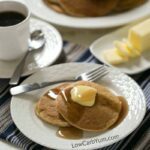 Want more information on the nutritional comparison of the two most popular low carb flours? You’ll find that in my post on almond versus coconut flour over at All Natural Ideas. These almond flour biscuits are a nice addition to your morning eggs and bacon. And they could be shapes wider and flatter to use for making a breakfast sandwich. The dough is very thick and you can shape it into any shape desired. I used a cookie scoop to make sure they were all the same size. But a large spoon might be better if you are looking for more of a drop biscuit. Using almond butter rather than flour may help lighten the texture. My recipe for minute English muffins uses almond butter, and that bread is very fluffy. However, the lighter texture of the minute muffins may be the result of the higher egg ratio in the recipe. Chopped herbs, a sprinkling of spices, or shredded cheese are great additions to the recipe. One of the things that almond flour does work well in is cookies. 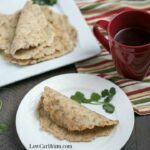 If you like a crunchy cookie, it’s the best low carb flour to use. 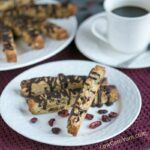 It’s what makes my cranberry almond biscotti cookies crispy. 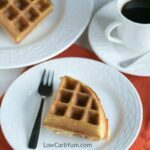 What’s your favorite low carb recipe using this versatile nut flour? Mine is definitely pancakes. 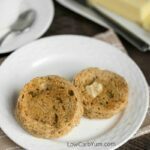 A low carb biscuits recipe that’s also paleo friendly. 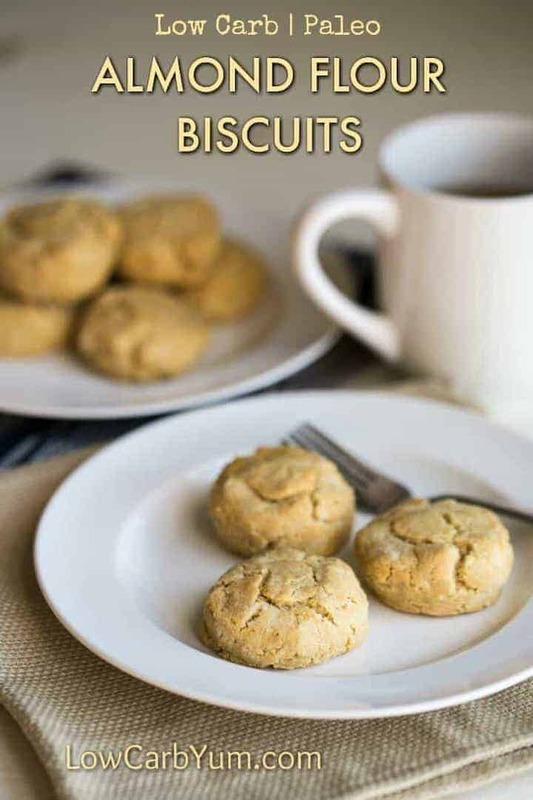 These savory gluten free biscuits are great with any meal or eat them as a snack. 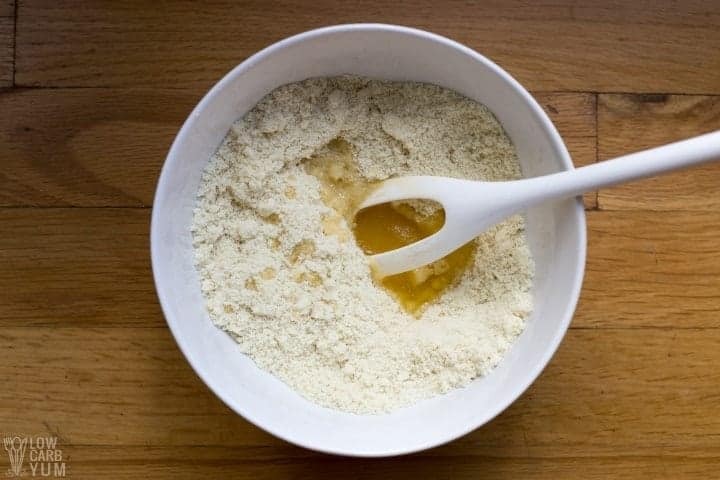 In medium bowl, combine almond flour, baking soda, and salt. 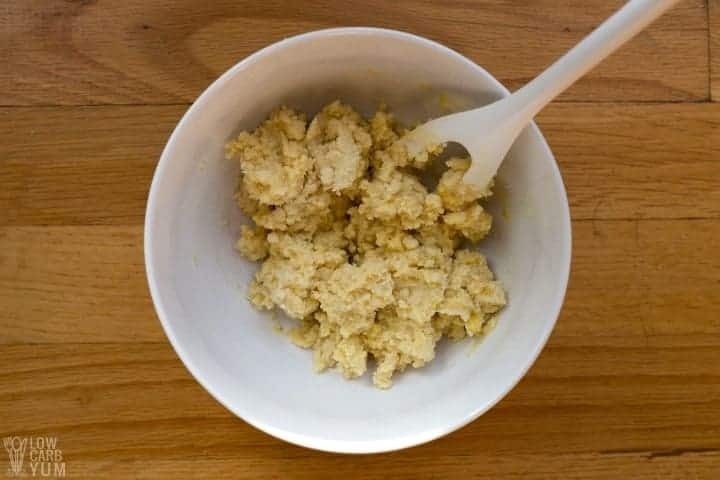 Stir in ghee until mixture is crumbly. 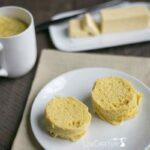 Use a scoop to form biscuits into desired size. Bake at 350°F for about 15 minutes. For a lighter biscuit, replace 1/4 cup of the almond flour with 1/4 cup coconut flour. The flavor can be enhanced by adding in chopped herb. 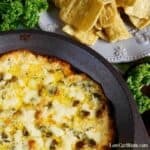 Cheese can also be added if you aren’t following a dairy-free diet. Be careful not to flatten the biscuits out too much or they will end up like cookies. It’s also important to make sure they don’t overcook and become too crisp. Post updated in April 2019. Originally published October 2016.